The traditions surrounding Easter and Passover are timeless, and they provide valuable opportunities to bring your community together. Start planning now, and you’ll have more time to enjoy that Easter ham or Seder kugel! Kids (and grown-ups) of all ages love a classic Easter egg hunt. Shake up the routine by throwing in a few fun Easter games and activities — like a bunny hop race or egg decorating station. Get your neighbors involved in a community Easter egg hunt by sending out a volunteer and donation sign up. Create slots for things like setup crew, plastic egg donations, face painting artists and candy donations. Coordinate volunteers for Maundy Thursday and Good Friday services by sending out a service team sign up, including slots for Bible passage readers and childcare. Planning a big Easter sunrise service requires a lot of help from your congregation! Create an Easter morning volunteer sign up to make sure every area is covered. Bring your church, family or community together with a big Easter brunch. Throw in some new Easter traditions that you can continue for years to come. Get all your food items and activities organized with a family Easter brunch sign up or create volunteer slots for a church Easter potluck sign up to make sure everything’s ready for any delicious feast! Churches can send out a Good Friday “24 Hours of Prayer” sign up to encourage reflection leading up to Easter. Temples can recruit volunteers to recite Kiddush with a Passover evening prayer sign up. Whether at a family or temple gathering, you can include Passover games and activities for a fun way to help kids understand the meaning of the holiday! Collect RSVPs and organize food items for a delicious and meaningful Passover dinner with a community Seder sign up. 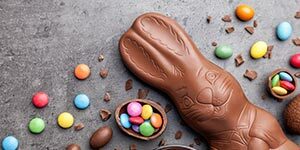 With these organizing tips and event ideas in your pocket, you’ll be prepared for a wonderful Easter and Passover season!